Meet our most expensive best ever script which meets current digital world requirements since every individual has the interest to enroll their policy plans based on the user necessity and requirements, we have included the leading policy plans such as Health Insurance policy, Endowment plan policy, Family Health Plan, Vehicle insurance policy and much more. Our Insurance Policy Listing Website is built with multivendor concepts so that any insurance company can register their profile themselves and able post the policy plans to the end users through this process registered user will capable of listing their policy plans across the globe. From the user end, they can search the required policy plans by filtering the result obtained by the search filter, after reasoning the preferred insurance policy plan they send inquiries to the allocated company and make benefited. This is one of the best revenue model Insurance Readymade Plan Listing Script,to earn more in a sophisticated way, we introduced many several revenue models which includes membership plans, banner advertisements, Google AdSense, and commission based earning etc. Our objective is that getting a website to the users and the professionals is necessary which is so that we have developed our script to be SEO-friendly by boosting it in accordance to Google standards making your website to list top 10 of SERP, in this manner increasing your website’s ranking and produce more organic search results from the major search engines such as Yahoo, Google etc. Through our dedicated social media integration user are able login with leading social networks like Google, Facebook and Twitter etc. As well as social sharing options which imply spreading of the website through the space made easier. Apart from this, we are dedicated to providing 1 year of technical support, up to 6 months of source code updates.My pleasure to notify that on purchase our awesome script will make it live on your server within the next 24 hours. In this digital world, most of the Insurance policy works are enabled through website. For my insurance company… this website more favorable… Am happy with it. 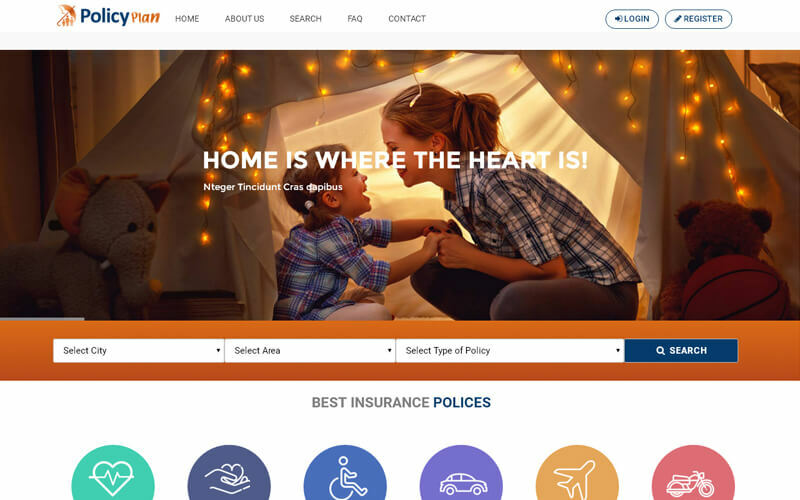 I can say it is a best insurance policy listing website for insurance owners… satisfied with websites quality. Good operative website and helps to maintain details clearly.